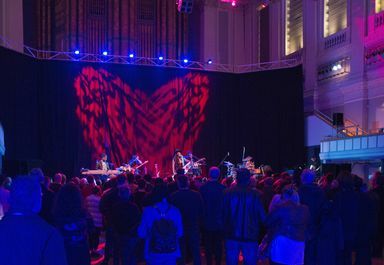 Jazzlines is a unique programme of creative jazz music and Talent Development initiatives based within Performances Birmingham Limited (PBL), the charity that runs Town Hall and Symphony Hall. It offers performance opportunities to emerging and established contemporary jazz musicians as part of a thriving, artistically excellent programme in venues across the city and commissions cutting-edge new work, providing support to ensure future performances and a legacy for new projects. 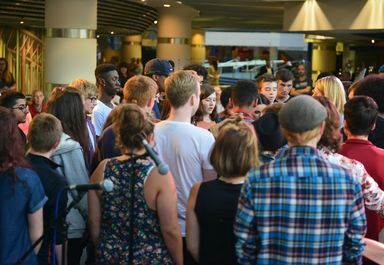 Its innovative commissioning, touring and talent development programmes enable the now flourishing Birmingham scene to progress which has shaped a sustainable and creative environment for young emerging jazz musicians to develop. The programme is supported by the grant made to THSH by Arts Council England under the National Portfolio Organisation scheme.